Dr Lai is recipient of the Marie Curie International Incoming Fellowship and is currently conducting research at the University of Freiburg in Germany. 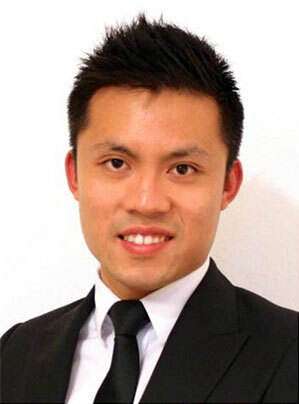 After completing my bachelor degree at The University of Melbourne (Australia) in 2004, my first scientific training began with a 10-week summer vacation scholarship in the Monash Biomedical Proteomics Facility at Monash University (Australia), where I have remained until the completion of my PhD in 2010. The significance of my research contributions to the field of membrane proteomics and renin angiotensin system signaling is exemplified by the publication of four first-authored papers in high impact peer-reviewed journals during my PhD candidature. I collaborate widely within Australia, Europe, USA and Malaysia,and have regularly presented my work at both local and overseas conferences. These include symposium presentations at the Australian Peptide Conference, the Lorne Protein Conference in Proteomics, International Proteolysis Society Conference, Human Proteome Project, and EMBO Meeting. After my PhD, I started my first postdoctoral training at the newly formed Clinical Biomarker Discovery and Validation Laboratory at Monash University. In 2012, I received the prestigious Marie Curie International Incoming Fellowship and moved to University of Freiburg (Germany). Please tell us a little about yourself. Where are you from, and what is your research background? I was born in downtown Kuala Lumpur (Malaysia). Soon after completing my Olevel, I moved to Melbourne (Australia) to complete my pre-university study and proceeded to pursue my undergraduate studies. I remained in Melbourne until I completed my doctoral studies as well as my first postdoctoral training. My research background focuses on applying state-of-the-art mass spectrometry platform in clinical setting and the establishment of novel and robust strategies in improving the detection of potential clinical biomarkers and validation. Please tell us briefly about the research project you are doing as a Marie Skłodowska-Curie Actions Fellow? Pancreatic cancer is the fourth most common internal cancer worldwide and there are annual incidences of over 200,000 pancreatic cancer cases with an annual mortality that is almost equal to the incidence rate. At present, there are limited numbers of biomarkers for pancreatic cancer. In addition, the precise knowledge of their role in pancreatic cancer diagnosis, staging, determining resectability, response to chemotherapy and prognosis is not fully known. In addition, these biomarkers have poor sensitivity due to the false negative rate pancreatic cancer patients who show negative phenotype and high rate of false positives in a variety of pathologic conditions. It is of great interest, therefore, to identify and validate novel pancreatic cancer biomarkers whose functions may represent critical events in pancreatic cancer. My current research project focuses on the development of mass spectrometry-based platform technologies for the discovery and validation of panels of robust biomarkers for the detection and surveillance of pancreatic cancer. What aspect of the fellowship do you find most valuable for your career development as a researcher? The international recognition I receive as a MSCA Fellow is very positive. Given that this is probably the most competitive and prestigious award in Europe, it opens up many doors and opportunities to meet and collaborate with some of the big players in my research field. In addition, I have received invitations to speak at renowned international meetings. This year alone, I was given the opportunity to speak at the Australasian Proteomics Society Meeting in Lorne, Australia and will be speaking at the HUPO World Congress in Vancouver, Canada next week. Why did you choose Germany as your research destination? My choice for Germany as a research destination was solely based on personal recommendation from my former colleague back in Australia. My former colleague was a co-worker with my current supervisor in Germany. I was told great things about my current supervisor in terms of the excellence in scientific research and technical expertise. For me, it is important to choose a good leader for my professional and scientific growth irrespective of the country. What are your impressions of the German research environment? Where can Malaysia and Germany learn from each other? Research funding in Germany comes predominantly from the government granting agencies or from other European Commission funding agencies with strict selection criteria and high deliverable expectations. Thus it is not surprising to see that research ethics in Germany is highly professional, efficient and competitive. The German academic community prides itself for doing high-caliber science and henceforth contributing to the greater community. It is with this mentality that we see German research consistently ranked as one of the highest in the international scientific community. What is life in Germany like outside the office? Life in Germany is very exciting. I get to experience new cultures, learning new knowledge and meeting people from diverse backgrounds. During longer weekends or summer breaks, I get to do a bit of traveling to some nearby European cities. To quote Charles Dickens (A tale of Two Cities): “It was the best of times, it was the worst of times...”. The fact that being so far away from family and closest friends often makes me feel homesick. What is your most memorable experience of living in Germany? I live in Freiburg, in the heart of the famous Black Forest. In winter months, as the days become shorter, the entire Black Forest region becomes very magical in which the grounds are covered powdery snows, and Christmas markets soon pop up selling local festive goods. It is definitely my favorite time of the year especially when the closest ski piste is less than 30 minutes away. During the first winter season, I learned to ski. Last winter season I successfully completed my first black run in the Austrian Alps. It is almost the time to bring out the skis again.. Winter is coming! Where did you get information about the Marie Skłodowska-Curie Actions? In retrospect, which elements do you think were decisive in you being successful in your application? The Marie Curie International Incoming Fellowship aims to attract top-class researchers from outside the EU with an emphasis on encouraging transfer of knowledge between the researcher and host laboratory. I believe that in order to be a successful grantee, applicants would need to demonstrate their particular skillset and knowledge through a proven track record, and to engage on a timely and highly-relevant research topic to be carried out in the host laboratory. Do you have any advice for other young researchers who are considering applying for a Marie Skłodowska-Curie Fellowship? Have a clear theme and put extra emphases on how your proposed work is important to the current scientific climate. Do not be afraid of proposing high-risk research. I have recently come across this saying by Jim Rohn: “Don’t join an easy crowd; you won’t grow. Go where the expectations and the demands to perform are high.” Good luck! As a researcher, which goals and ambitions do you have for your future career? In a few years, once I have become more established in my field of scientific niche, I would like to return to my home country and play a part in fostering young researchers and to work alongside with the local scientific community to deliver high quality research.